During arguably the most stressful time of year, seniors try to figure out what their future might look like. In the search for the perfect place for their higher education, students are able to go on school-provided “college visits,” spending time with a representative from a perspective institution during the school day. Seniors and juniors can take time out of their daily schedule and meet with these representatives in the ARHS guidance office, getting basic information as well as answers to specific questions about the institutions. With around 127 schools sending representatives to the high school this year alone, Amherst students are given a unique opportunity. “It was a good chance to get to know the college a bit more without actually having to go there,” said Austin Xiong, an ARHS senior who has attended three college visits so far. Many different types of colleges come to the high school to meet students, ranging from community colleges and technical schools, to four-year colleges and military organizations such as the Air Force Academy. Art school visits are usually not arranged by guidance, but rather by the art department at the high school. Representatives from art schools typically go to classes where there are students who are most likely to want to go to art schools, such as advanced studio art. Myra Ross, the ARHS college advisor, said that the college visits provide a good chance for students to meet the people who are evaluating their applications. Emily Cox Parker, the Senior Assistant Director of Admissions at Brown University said that college visits are mostly about questions, and that she uses them as an opportunity to reassure students. Additionally, she uses them to show what pieces of Brown make it stand apart from the sea of institutions available. Many students take these opportunities, but there is a theme to the types of students who usually attend. “It’s all up to the students to decide to go to the visits,” said Crystal Garrity, the guidance secretary. According to Ms. Garrity, around 70 percent of seniors go to visits, with there only being around five juniors who have attended a visit this year. “The students who are coming to visits are often coming to many visits; we don’t typically get people coming to just one,” she said. The students who attend also come from many different backgrounds. “It’s a pretty diverse group [in terms of gender], very diverse in race,” she said. The experience is generally the same, according to Xiong. The representatives discuss the statistics about the school, such as the student-teacher ratios, student diversity, number of international programs, financial aid, and opportunities in the area, such as internships and jobs. Then there is some time left at the end. “[It’s] a good chance to come with some pre-thought out questions,” Xiong said. But do these visits actually change a students’ mind about a school? It depends. “I don’t know that a college visit is going to change somebody. A college visit has introduced people to a school that they then look into further,” said Ms. Ross. Xiong felt more encouraged to go to Northeastern after the visit in which he learned bout the Co-op program there. According to Ms. Parker, the number of applicants who end up applying to Brown depends on the high school and region that the visits take place. “In schools or regions where fewer students have exposure to Brown, a high school visit can drive students to apply who might not otherwise do so,” she said. Olivia Hite, an ARHS senior, on the other hand, had no change of opinion after their college visit with Skidmore. “By the point of me going to the college visit, I was already interested in going to Skidmore, so it was a chance to learn more about the school,” she said. Hite claimed that their previous visit to the Skidmore campus had peaked their interest. They went to the college visit simply to demonstrate interest to Skidmore. Hite, who has attended one college visit at the high school and has visited eight colleges, believes that physically visiting colleges can be very helpful. “Seeing the campuses gives you an idea of ‘would I actually want to go here,’” Hite said. 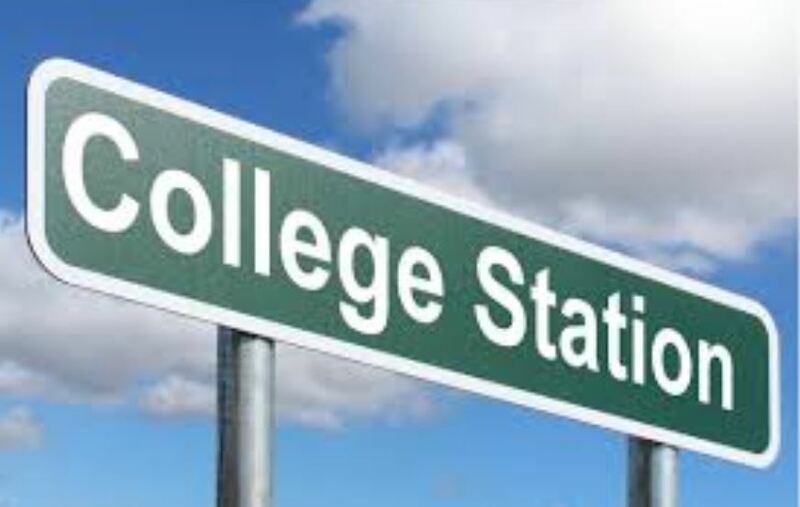 Even though college visits are definitely not the end of the piles of work that seniors must do to go to college, they are still helpful, no matter what field one wants to go into. Xiong, who hopes to pursue a degree in the sciences was helped just as Hite, who wishes to pursue theater. Xiong said that the process of going to college visits was very useful for him and helped him decide what colleges to physically visit later. “It’s like the first small step,” he said.